In 2010, the United Nation’s General Assembly officially recognized Nowruz as a holiday. In their report, they listed this holiday as an Iranian spring festival that has been celebrated for three thousand years. Nowruz begins at the stroke of the vernal equinox when the sun crosses the equator. At that precise moment, millions of families of Iranian descent will gather around a ceremonial table known as the haftseen. Young and old count down to the New Year together and cheer Nowrooz Pirooz or Happy New Year! Feel Better in a Holistic Way! Improve and maintain your Health in a Natural Way! It is your best choice to improve your health and maintain it with traditional yoga and naturopathy. You will get the quality work you are looking for, the flexibility to choose from various natural healing options. you will get the availability as we are nearly open all week and even offer next day appointment. 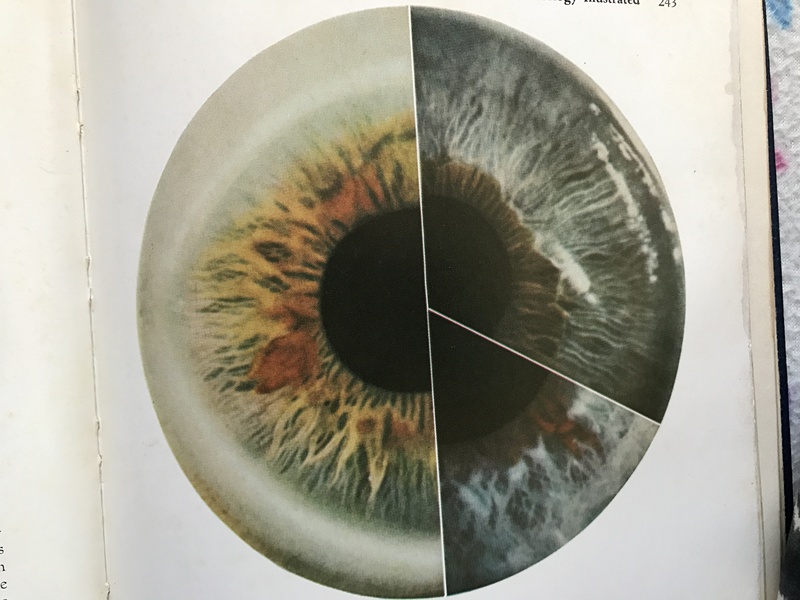 Iridology: Iris or Eye color reading( Your eyes are windows of your brain and demonstrate what is going on inside your body). Find the Root cause of diseases in a non-harming way. Diet and Nutrition — the use of specific healing foods or spices, green vitamins, and minerals to prevent illness in every stage it is. Botanical Herbal Remedy — the use of whole plants or herbs to help the body heal itself. Bioelectromagnetic therapies — the use of electrical currents or magnetic fields to promote healing (Magnet therapy, Electro Magnetic Quantum Science, electroacupuncture). If you have any question, feel free to contact us, your call is important to us as your health is! we will get back to you as soon as we can to answer any question you may have. Call 949-500-2984.
achieve and maintain optimal health, wellness, beauty, and to prevent the signs of aging from both inside and out. Following integrative medicine or natural health helps you not only change your body but also change your mind, attitude and even mood. It is about lifestyle change. You will feel amazing positive health results in a long run persistence. Dr. Shari Nasrabadi will teach you how to heal your body, mind, and spirit in the natural holistic way. Natural health is about Chronic Disease Prevention. We can prevent chronic diseases such as Digestive disorders, Leaky gut syndrome, Multiple Sclerosis ( MS), Parkinson, Alzheimer, and even cancer IF we act early!!! Diseases Prevention is the best way to avoid physical and mental diseases and improve not only your life quality but also quantity. We are not only offering FULL BODY HEALTH SCREENING though. We offer you so much more that includes Mind-Body Intervention such as Mind-body yoga therapy session, nutrition and diet plan, Iridology( Iris Eye Reading), Magnet Therapy, Reflexology, and Acupressure Massage. We will offer you not only the utmost quality natural health service from start to finish here in orange county, California. What are you waiting for? Get started today and realize there are no better disease prevention options out there offering such a wide variety of natural options to choose from. Heal not only your body but also mind and spirit. 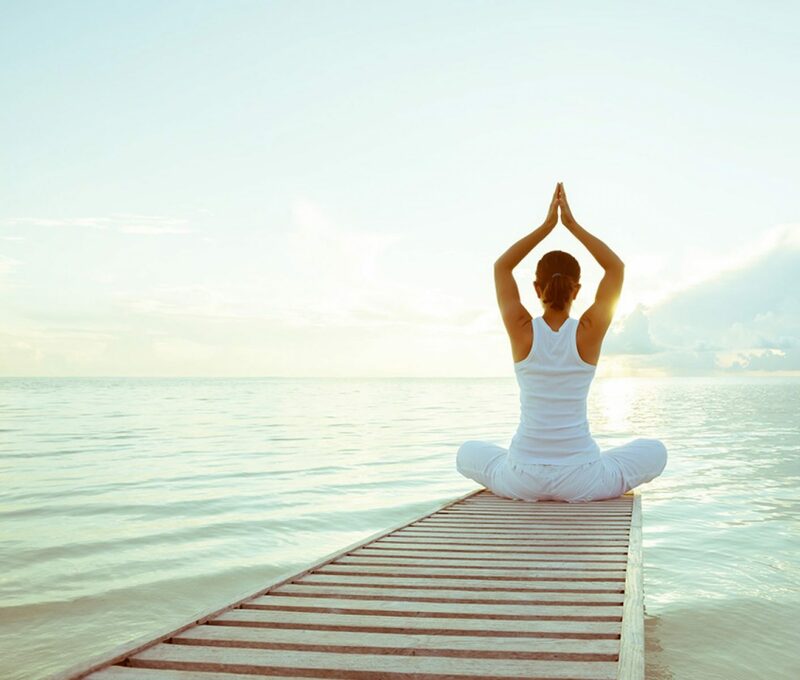 You know that practicing yoga along with natural health is the perfect healing lifestyle! Yoga heals not only the physical body but also heals the emotional, mental and spiritual body. In fact, yoga means unity. Unifying our body, mind, and spirit. Unification through yoga practice is our health promotion goal. Isn’t it? Do you know holistic health or alternative medicine has originated from traditional yoga philosophy? Actually, considering the whole person(body, mind, spirit) is the foundation of holistic health practice. You know that we are not only the physical body but also mental and spiritual body matter. Each plays a big role in our well -being. Physical illness is the last stage of illness in an integrative yoga practice approach. For example, when we get sick, the first stage of symptoms shows off on the spirit level. Next stage of illness is the mental level. Finally, the last stage is physical symptoms of illness. Integrative yoga practice considers not only physical healing but also emotional, mental and spiritual healing. Now we know that we need to heal our spirit first, next we will be able to heal our mind, then emotion, and finally the physical body will be healed. The whole procedure is called holistic health! we heal the whole being. In fact, holistic health or traditional naturopathy practice has been one of the best cost -effective practices in medical history. Natural remedies cost LESS and are more effective! Naturopathy history gets back to thousands of years ago when people found their remedies from mother nature. Nature is nurturing! Natural remedies originated from herbs, flowers, trees, fruits, … Those remedies were found based on a hundred years of experience. Natural remedies are effective when we apply them regularly. There are fewer side effects when we use the whole plants or flowers. Naturopathy emphasis on Detox or Chelation Therapy. Toxins are overloaded over time from the food and drugs that we take and the chemical environment that we live on. Toxins overload makes us sick over time. We need to detox as soon as we can to prevent further health issues and revitalize our body and mind. You know that a combination of regular yoga practice and naturopathy together complete each other to promote health. we need to integrate yoga and natural health in order to reach our goal of a happy and healthy long life. Integration of yoga and natural health creates a healthy lifestyle. Therefore, our lifestyle is what we emphasize. Naturopathy consultation finds the root cause of diseases. As a doctor of Naturopathy, We can help you to change your lifestyle and achieve positive health results. If you schedule a natural health consultation session, we will guide you how to gain your health goal. It is your option to schedule a private session or group educational sessions at the office. Finally, if you have enough patience to practice what we teach, you will appreciate your decision of creating positive change in your life. Let’s get start it today! Are you interested in preventing diseases? Would you like finding holistic health solutions that are non-harming? Is Illness prevention possible? What are the root causes of diseases? Are Chronic diseases preventable? Are Diabetes, Heart Disease, Leaky Gut Syndrome, Alzheimer, Parkinson, even cancers preventable? The answer is YES! Actually, Chronic diseases are preventable. We can find out the root causes of Diabetes, Heart Disease, Leaky Gut Syndrome, Alzheimer, Parkinson, even cancers are preventable. Natural health consultation helps to prevent diseases in a natural way. Naturopathy followers learn how to prevent chronic diseases in a natural way. As a naturopath I believe, You don’t have to suffer from memory loss, too much emotional stress. you don’t have to suffer from heart disease and high blood pressure, Anxiety or depression. You don’t have to live with chronic high cholesterol and fatty liver. You don’t have to suffer Digestion problem and leaky gut syndrome, joint inflammation, and muscle cramps. As a naturopath, I can help you in applying natural solutions without drug side effects. Chronic disease prevention is possible in a natural way. Doctor of naturopathy, Shari, will guide you on how to improve your memory, reduce stress, heal heart diseases and balance blood pressure in a natural way. You will feel relieved and happiness comes to your heart. Natural remedies to balance, blood cholesterol and heal fatty liver gradually. Solve digestion issues and food sensitivity only by changing your food habit. Leaky gut syndrome will be healed in a 100% natural way. Joint inflammation will disappear over time and muscle cramps will be gone as long as you follow my natural remedy direction. This set of principles, emphasized throughout a naturopathic doctor’s training, outlines the philosophy guiding the naturopathic approach to health and healing. The principal forms the foundation of distinct natural health care practice. Prevent chronic diseases with naturopathic consultation. Naturopathic doctors use a variety of natural and non-invasive therapies, including clinical nutrition, homeopathy, botanical medicine, hydrotherapy, physical medicine, and counseling. Many naturopathic doctors have additional training and certification in acupuncture and natural childbirth. Naturopathic treatments are effective in treating a wide variety of conditions without the need for additional intervention. Naturopathic doctors are also able to function within an integrated framework, and naturopathic therapies can be used to complement treatments used by conventionally trained medical doctors. A result is a patient-centered approach that strives to provide the most appropriate treatment for an individual’s needs. Prevent Alzheimer, Parkinson, Heart disease, Cancer at the FIRST Stage. Find out the solutions, we can help you! This is a guide to assist you in the selection of naturopathy healing methods. It is important to understand that this does not take the place of health care guidance or diagnosis. It is provided to help you to understand what could possibly assist you. For further assistance or question please call My Traditional Yoga and Naturopathy. Natural Health Exam, Iridology Life Coaching, Herbology, Facial Rejuvenation, Facial Detox Massage, Nutritional Consultation. What is the relationship between the gut or digestive system and brain function to prevent Parkinson? These are the questions that need to be answered. Finding new natural solutions to avoid degenerative nerve diseases such as Parkinson disease is our ultimate goal. Brain Function, Digestion and Parkinson Prevention are related together. Certainly, millions of neurons around the digestive system are in talk with brain frequently. In fact, your digestive system affects your brain. Actually , your gut has a direct influence on your mental state and your brain process information.Parkinson is a neurodegenerative diseases that affects nervous system and brain function . Parkinson is the second most prevalence neurodegenerative diseases after Alzheimer’s. It is influenced by environmental factors. there is a connection between neurological diseases and digestive health. If you like improving your brain function and prevent Parkinson, you have to improve your gut’s health. Especially, digestive system health depends on your lifestyle. In particular, healthy lifestyle improves brain function. If you like learning how to improve your lifestyle, Consultation with a Doctor of Naturopathy or Holistic health helps you a lot. Remember, Prevention cost less than treatment. Doctor of naturopathy helps you in diseases prevention.